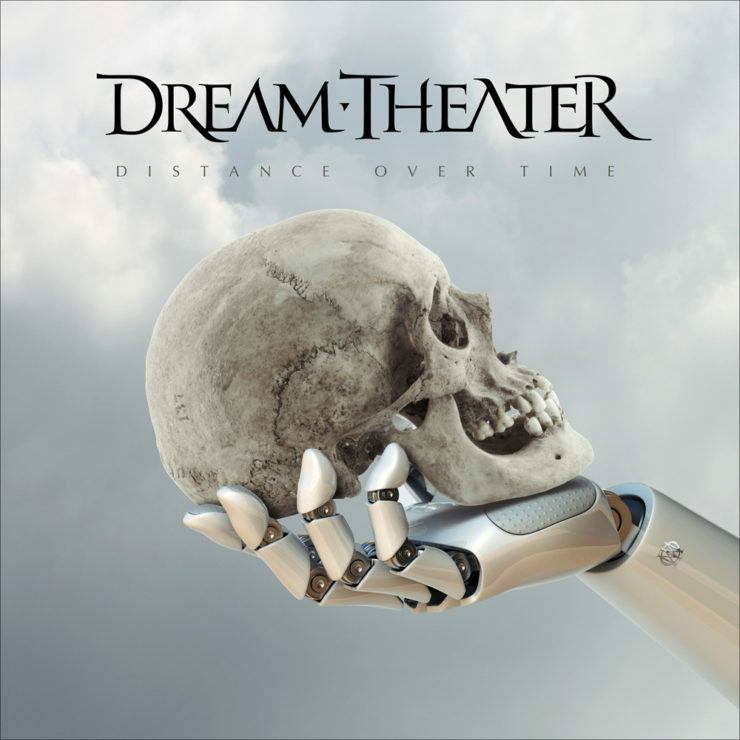 Review of the new Dream Theater album ‘Distance Over Time’ out on February 22, 2019. The opening track and first single from Distance Over Time, “Untethered Angel,” is the perfect track to begin this album, as it represents DT returning to its roots. The song begins with a signature acoustic/clean tone slow arpeggio over soft and wide keyboards delivering a dark mood and leaving the experienced prog metal imagination in suspense waiting for the attack. Without disappointing, they present a rhythmic assault between Petrucci, Myung, and Mangini which is sure to get fists pumping in the air. 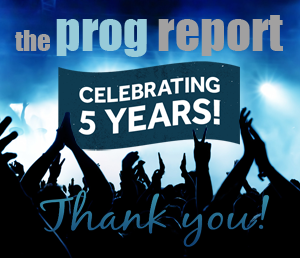 They plant a groove as LaBrie’s vocals and Rudess’s keys carry the verse over the pounding rhythm into a soaring chorus. The second verse is preceded by a keyboard solo, and then to keep things interesting, the rhythm totally changes to a syncopated odd time signature. After the second chorus, the first instrumental breakdown arrives and delivers the kind of musical complexity long time DT fans long for. Petrucci and Rudess trade off their usual virtuosic soloing and then join together in a dueling harmonizing moment before the closing chorus. The ending is what you can imagine their jam sessions birthed in the middle of upper New York mountains. “Paralyzed” starts with a brief Petrucci extended range guitar riff played on his EBMM JP-BFR Baritone guitar, before the rest of the band joins in another great groove. LaBrie’s vocals really shine on this track as he navigates through the verses. The highlight of the song is Petrucci’s solo. His timing on melodic phrasing and his usual mind bending speed chops are on full display in this short solo, foreshadowing what is yet to come in later songs. The opening guitar riff for “Fall Into The Light,” the second single, puts the fans on notice that this is going to be metal, bringing in mind the rawness of Train of Thought. About half way through the song, these seasoned veterans settle into a throwback mood reminiscent of a Metallica melodic bridge from the ‘Puppets’ days. The metal palate is then satisfied with another keys solo section leading to the final chorus, then closing out with an incredible run of notes which stop with the final chord. The feel of a more raw ‘garage band’ sound allows for a clean, powerful and tight performance from the rhythm section. By this point in the album, Dream Theater have clearly established this album is returning to a sound grounded in their earlier style of musical expression. The opening bars of “Barstool Warrior” present the more familiar progressive side of the band. The doubled guitar and keyboard opening riff, along with the bass and drum coordinated hits, signals the versatility of the songs the band put together in their time at the studio. The increased contributions and involvement of Myung and Mangini are uncovered during the opening segment in which Mangini exhibits his technique and speed with some terrific drumming as a transition to another beautiful melody from the bands guitar master. Petrucci’s lead lines show so much growth and dynamic attention, fans familiar with past songs like “Hell’s Kitchen” and LTE’s “When the Water Breaks” will be taken back to a time when these musicians were composing timeless classics. The song builds through the verse into a great vocal delivery in the chorus. The second verse and chorus presents a different rhythmic feel which keeps the song fresh and captivating. Then Rudess plays a lovely piano interlude with Myung adding such a tasteful run of notes segueing the guitar solo which Petrucci perfectly balances melody with fast runs. The song ends with one of LaBrie’s vocal highlights of the album. “Room 137” is a song which clocks in at about 4.5 minutes of really cool heavy guitar riffs and a pounding and steady interaction between drums and heavy distortion guitars, like the kind of sound which is born out of jam sessions with your long time brothers. This song’s prog pedigree comes in the form of a chorus which has a descending chord progression with tight vocal harmonies alternating from the left to the right with an almost sinister tone which becomes very hypnotizing and memorable. Mangini’s drum kit sound really stands out well in the mix as his playing style show more freedom in his timely fills and hits. Clearly he has reached a deep level of comfort and confidence with his performance as well as for the first time contributing to the lyrics of a Dream Theater song. On the following song, “S2N”, the silent man of the band, Myung, gives his signature precision in the opening riff. It has been a long time since his bass has sat so well in the mix and production. The odd time signatures fit right in as the song builds an allows a Petrucci to perform a guitar solo with what sounds like some advanced two-handed tapping technique which only true guitar heroes can master. The song concludes with another deep grooving riff by the rhythm guitar and bass all while Rudess kills another keyboard solo. In summary, this album gives a listening experience in which every member shines individually and collectively as a group, resulting in a collection of songs which balance a melodic focus, heavy instrumentation, and unparalleled skill. The sequences of the songs make this an easy and exciting listening adventure from beginning to end. The mix and production have never been better in presenting a powerful and clear sound. It sounds fun, entertaining, and memorable. Their unified focus and effort has resulted in their best and most impressive outing in a very long time. 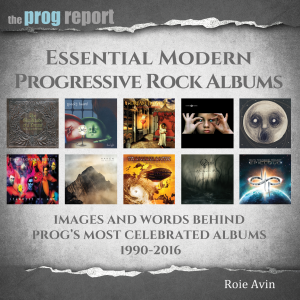 There are certainly reminders of all their past albums throughout and it is a terrific accomplishment as they mark 30 years of existence. But as the band took an untraditional method in the approach to this project to reconnect with each other, one can say with confidence, Distance Over Time definitely marks a new and fresh beginning for Dream Theater. Moreover, the album is a powerful reminder of what drew in a fan base that turned into the loyal and established one that exists today. Hail to the kings! 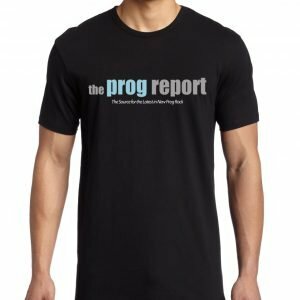 Hear John Petrucci and Jordan Rudess discuss the album and pick their Top 5 prog Instrumentals on the Prog Report podcast here.